SENSI #743 CBD is the result of a challenge we undertook in the Sensi Seeds Research facility to create a 2:1 ratio variety. When we went looking through our gene bank for the best strains to select for a CBD expression, Black Domina was an obvious choice. It’s the result of combining four historic indica strains - Northern Lights, Ortega, Hash Plant and Afghani. The leaves are a green so deep it’s almost black, hence the name, and show off the shimmering buds beautifully. But we know it’s not just the aesthetics that are important to you! Careful breeding with an undisclosed CBD variety has resulted in a cannabidiol-rich expression of Black Domina with a 2:1 ratio of THC to CBD. A distant cousin to the CBD dominant SENSI #1318 CBD, this variety provides a relaxing body effect together with a touch of cerebral high. Sensi #743 CBD is a is a feminized strain, which will only produce plants that flower as females.. The Sensi #743 CBD is a Sativa / Indica Hybrid. Sensi #743 CBD will need an average flowering time to reach their full potential. Sensi #743 CBD will have average height gain during flowering. Sensi #743 CBD can produce an outrageous amount of weed, but may require a little extra attention. Sensi #743 CBD can be grown outside in a normal warm summer. Sensi #743 CBD Seeds is added to your shoppingcart! 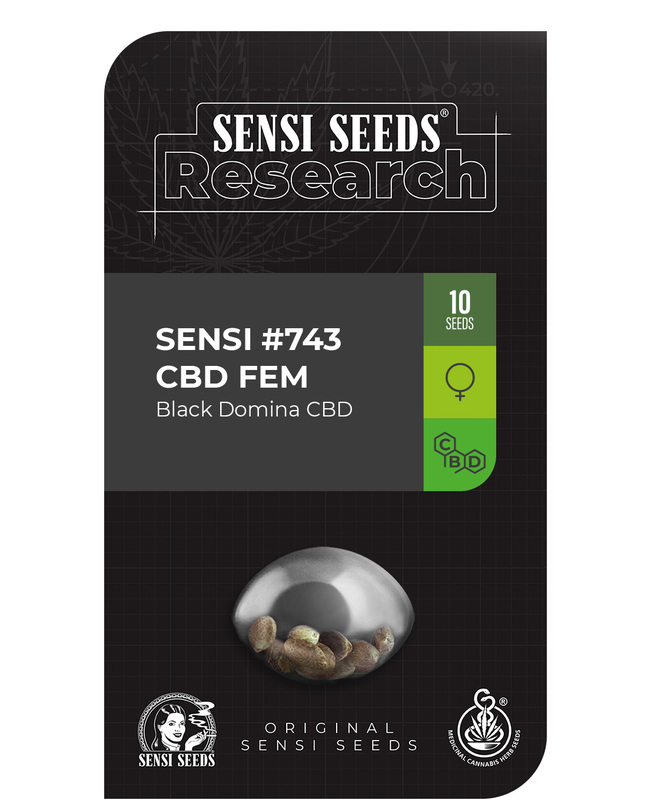 Sensi #743 CBD Seeds is added to your wishlist!